The following article, by Apprising Ministries, is about Kay Aurthur of “Precepts Ministries International”. It describes how the well known Bible teacher has been repeatedly compromising the gospel by partnering with false teachers, such as mystics, Word of Faith heretics, and others, and has refused to stop after being approached by a fellow ministry partner. 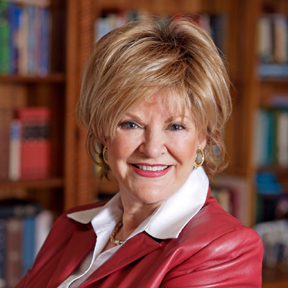 To read the article, click on the link entitled “ABOUT KAY ARTHUR OF PRECEPT MINISTRIES INTERNATIONAL“. The problem with the Christian, mainstream, media is that most of the well known Christian leaders have been engaging in practices that true Christians are not able to follow, because they are sinful, such as the ecumenical practices of Kay Arthur, and most other Christian leaders. This bad example teaches believers to practice blatant disobedience as though their example were not, at all, inappropriate. Nevertheless, no matter how popular the mainstream media makes these poor Christian leaders, their sinful example has already been condemned by God.